Description: Many of the famous Count Basie charts were built on riffs, or short melodic ideas that were repeated several times over the blues progression. This swing original at the very easy level is the perfect vehicle to introduce young players to this concept. 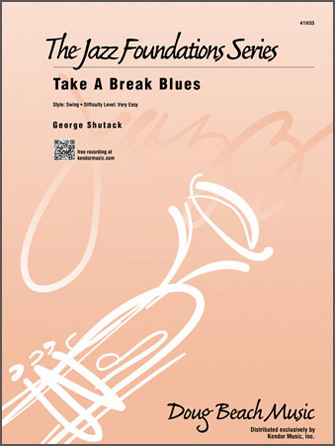 Scored for 4 horns with rhythm section and expandable to full big band, written or ad lib solos for all are included, along with optional parts for flute, clarinet and horn in F. A written or ad lib open solo section is included, with solo sheets provided for all. Duration 5:03.